So much yarn, so little time. : Let's meet...Kitschycoo! 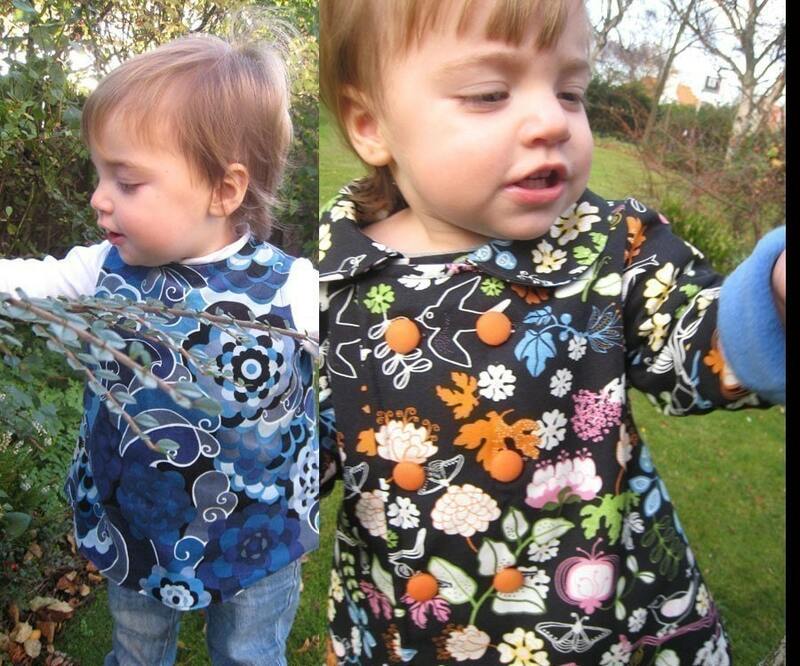 Amanda, owner of Kitschycoo, designs and makes the most amazing children's clothes and writes one of the funniest blogs I've come across. It's enough to make me hunger for grandchildren! Dogs a million times over. My parents used to breed Himalayan cats when I was growing up and they were more or less evil. Especially in comparison to our lovely dopey golden retriever. Neither. I am dorky in many, many ways but not in a Star Wars or Star Trek way. I like sci-fi books though! Fruit during the day, chocolate at night. Fruit during the summer, chocolate during the winter. Hmmm, it changes all the time! If I had to put them in order, I like bright jewel tones the most, then earth tones, and pastels the least. I'm quite into orange at the moment. I could quite happily eat pizza every single day. I grew up in the woods (well, in a house in the woods, not wild!) so I really like city breaks now that I'm older. I'm also an American living in Europe, so your cities are unlike anything we have back home! Definitely documentaries, I can get engrossed in programmes on almost any subject. I just need to know. I think it was my sister in law that told me about Etsy and encouraged me to open www.kitschycookids.etsy.com. I was initially overwhelmed by the size and scale of it but I bit the bullet and started listing some of my clothes in Aug 2008. 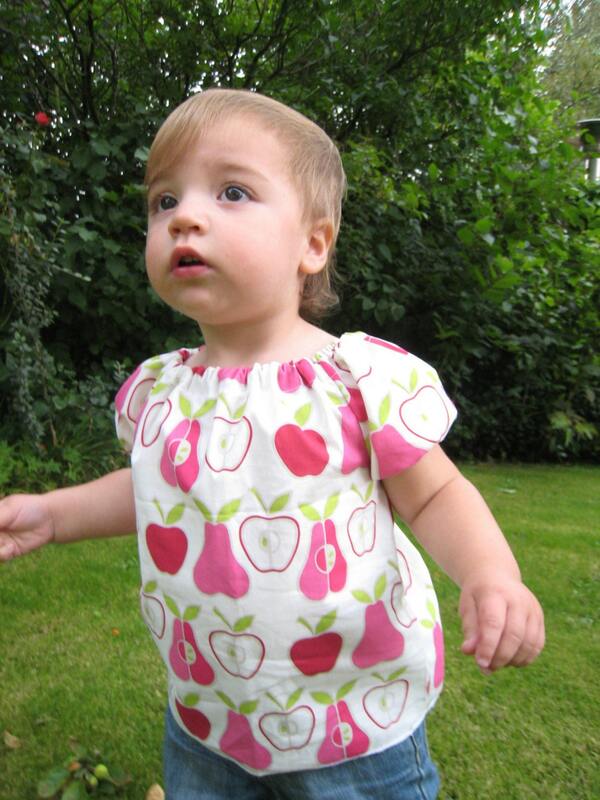 Sales started trickling in so I increased my shop size, but it didn't really take off until Jan 2009 when I started selling the patterns I had designed to make the clothes. I've been a bit shocked by how well my patterns are selling and definitely see this as the direction my business might take. Probably the orange bird print double breasted coat. It was the first one that I was ridiculously proud of! Find a niche. Because Etsy is so big, the only way to set yourself apart and get sales is to have a differentiator. I knew from posting my coats on forums than people liked them and by researching listings on Etsy that there weren't any other independant (non-vintage) patterns available for toddler coats. So my first coat pattern filled a gap in the market and sold well, and now I have a considerable base of repeat customers buying my other patterns! I don't think so. I think it was good for me personally and as a businesswoman to learn the hard / long way rather than get it 'right' from the start. All the information and knowledge I've picked up along the way will stand me in better stead going forward. I hope. I'm definitely considering moving predominantly into pattern making. I need the clothes a little bit though to support my obsession for fabric! Breaking up fisticuffs between my kids *sigh*. Oh so very true Amanda - thank you for sharing your stunning clothes and even more gorgeous models with us! Isn't she fabulous! I can't get over how well put-together her patterns are, and her pret-a-porter clothes are fantastic too. super cute stuff! there are things you've featured that i would prob buy for myself if kitschy did big girl sizes?!!! oh I totally agree! though the orange birdy coat would make my purple hair zing a bit. great post! I'm looking forward to seeing Amanda's stuff in person in Edinburgh over the summer! Very cute kids clothing, and the kids are cute too! Love the little orange coat! Such a cute little girl! and wonderful interview. Really cute coats and so lovely to know about how you started Kitschycoo. Thanks Nifty another great interview. Another lovely interview, Nifty, and some more great advice. Especially interesting thoughts re having a differentiator - and of course the blogging etc. I would have loved that orange birdy coat when I was small!